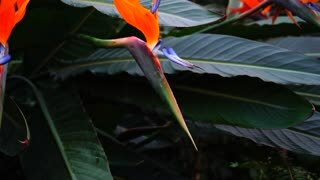 Search Results for "exotic flowers"
Bird Of Paradise Flower Hawaii Botanical Garden 4K 1341. 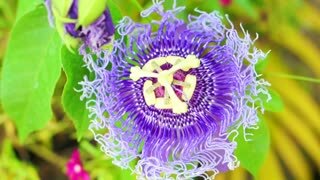 Crane flowers is one of the most beautiful Exotic Flowers. Resembles a brightly colored bird in flight. Plant. Lotus close-up. Beautiful big exotic flowers on the water surface. Lotus (Nelumbo nucifera) is considered a Sacred Buddha flower. Wellness, Spa and Relaxation Outdoors in Asia. Exotic flowers (Zingiber Zerumbet) under the moonlight during a heavy night storm in South America. 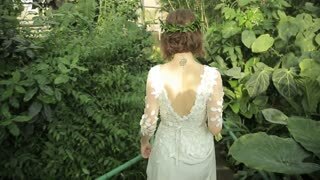 Large Beautiful Butterfly Flying Between Exotic Flowers, Slow Motion. Portrait of charming woman with long brunette hair smelling exotic flowers in the garden. Spending time outside on vacation. Sweet smell. A beautiful bridal bouquet (roses and exotic flowers) with a long beige tape in a high glass vase on a light curtain background, close up.